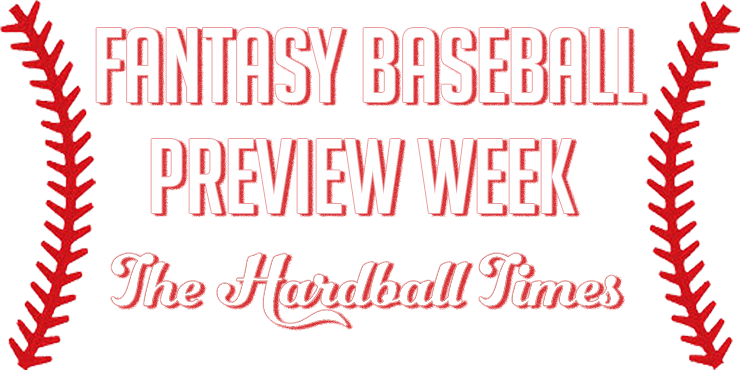 It’s Fantasy Baseball Preview Week! If you’re a longtime reader of the FanGraphs internet pages, you may be used to seeing FanGraphs+ this time of year. Well, we’ve unbundled FanGraphs+ this year. David Appelman will explain more about that tomorrow. Today though, and all week, we’ll be bringing you the rich, thoughtful pieces that have been a staple of FanGraphs+ here at THT. We’ve got a good group of writers lined up for the week. Here’s the lineup, which I’ll update with links when they go live. You may recognize these writers as some of the finest that our sister site RotoGraphs has to offer. We didn’t just go through and pick this lineup on our own, though. In fact, we had little to do with it. The credit for assembling this lineup of RotoGraphs writers goes to RotoGraphs’ head German/Jamaican in charge, Eno Sarris. Special shout out to Eno for all his help! We hope you’ll stick with us all week for some outstanding fantasy baseball strategy! Thanks for the update Paul. Sad to see FG + done away with but this content looks pretty interesting. Are the player caps that accompanied FG + going to exist in any format? Hey Tom, thanks. And yes, more on caps tomorrow. If you are looking for free dream league soccer hack then visit our webpage and grab it.